State of the Art in Small-Scale Fisheries presents a synthesized, up-to-date knowledge about SSF around the world. The bibliographic summary is based on the information available in the 'State of the Art' layer of ISSF. 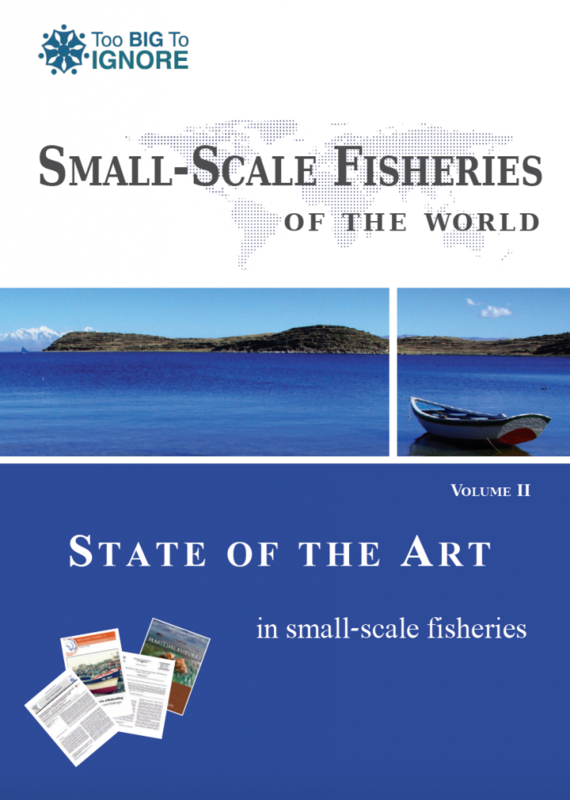 The 'Small-Scale Fisheries of the World' publication series presents synthesized information and knowledge about various aspects of small-scale fisheries around the world, including key issues pertinent to their sustainability. The synthesis is largely based on available data in the Information System on Small-scale Fisheries (ISSF), an online open-source database developed by the Too Big To Ignore (TBTI) partnership, supplemented by findings from small-scale fisheries research and studies both within TBTI and beyond. This series, composed of several reports, opens a window on the world of small-scale fisheries in ways that have rarely been done. The 'Small-Scale Fisheries of the World' series will be useful for anyone interested in small-scale fisheries who would like to raise awareness about their contribution to livelihoods, well-being, poverty alleviation and food security of millions of people around the world.